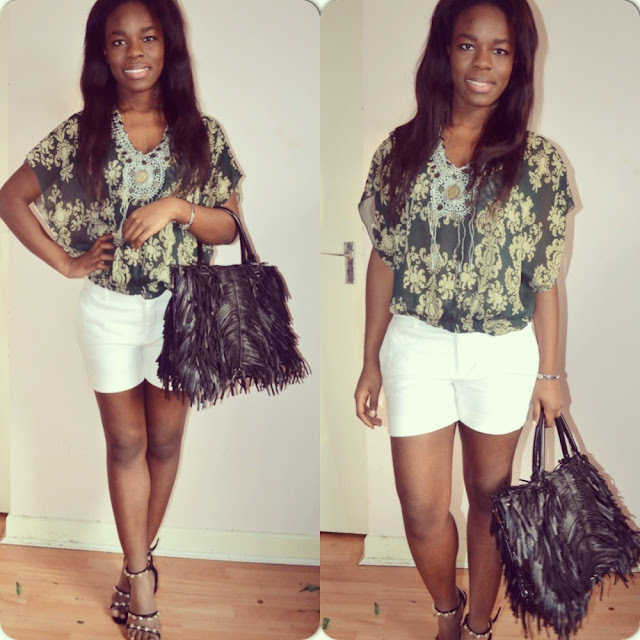 Shorts- Zara// Shirt,blouse- Chloe// Bag- Prada // Shoes- Valentino. Hello Bloggers, So I told myself I would post new outfits every week and I am so proud myself so far. This was what I wore when I went for dinner with a close friend. It is really cold here but I was determined to rock these new shorts I recently bought for the summer. Hope your having a fabulous Friday. Enjoy! wow love the outfit, the top is amazing! Nice look! Interesting blog you have What do you think about following each other? GFC,FB,Twitter?